Lemon embroideries cover this stretchy slip-on made just for infants. An icon of crisp tennis style gets a playful touch. 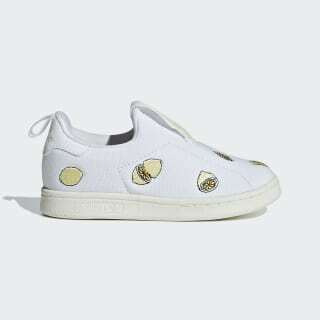 These infants' Stan Smith shoes rework the classic design with a stretchy canvas upper and a highly flexible outsole for easy on and off. 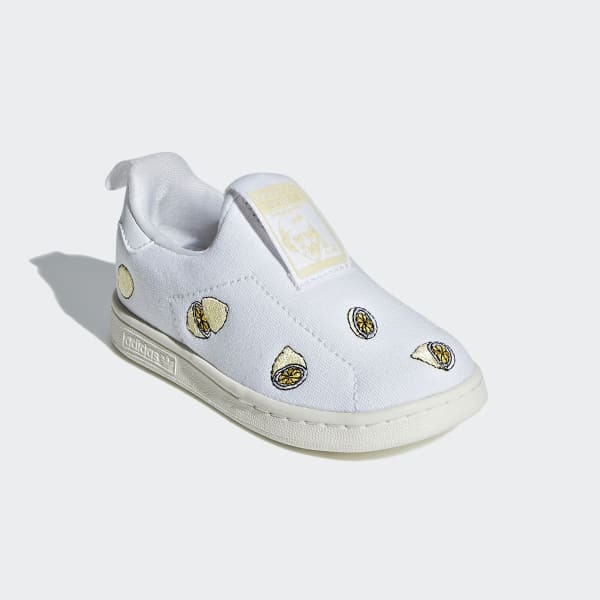 Embroidered lemons add fresh zest for standout style on the playground.